When I was working my way through my 30 before 30 list, Samantha from Live, Laugh, Lighty and our friends asked me over for dinner during my vegetarian week. They all agreed to go vegetarian for the meal and I offered to bring an appetizer. 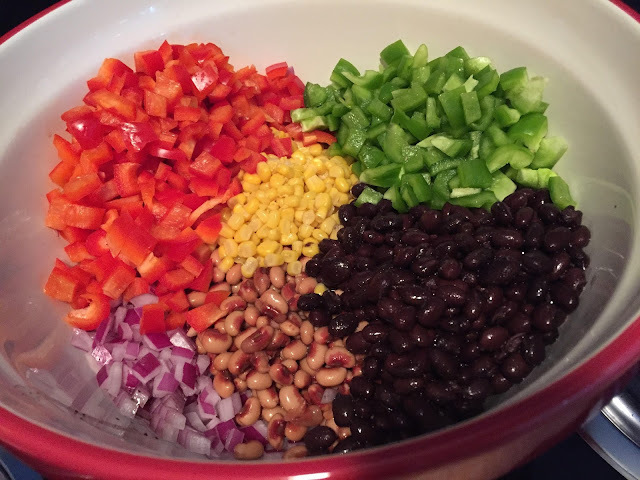 After a quick Pinterest search I came across the most colorful dish, cowboy caviar. 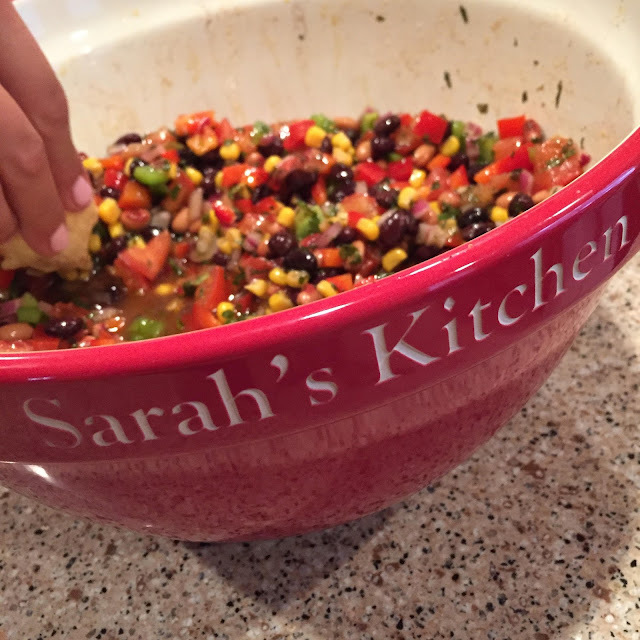 This vegetarian delight is quick to mix up and delicious. 1/2 parsley or 1 cup cilantro. I prefer parsley. We couldn't keep our hands off of it!